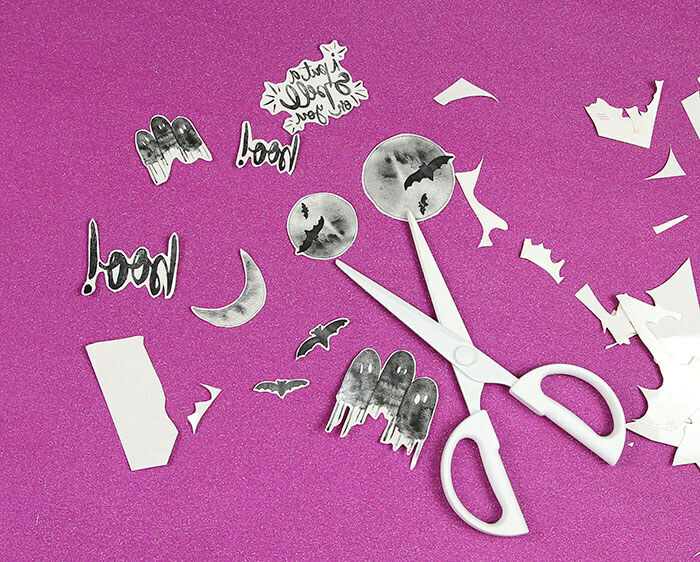 Make your own DIY Halloween Temporary Tattoos! 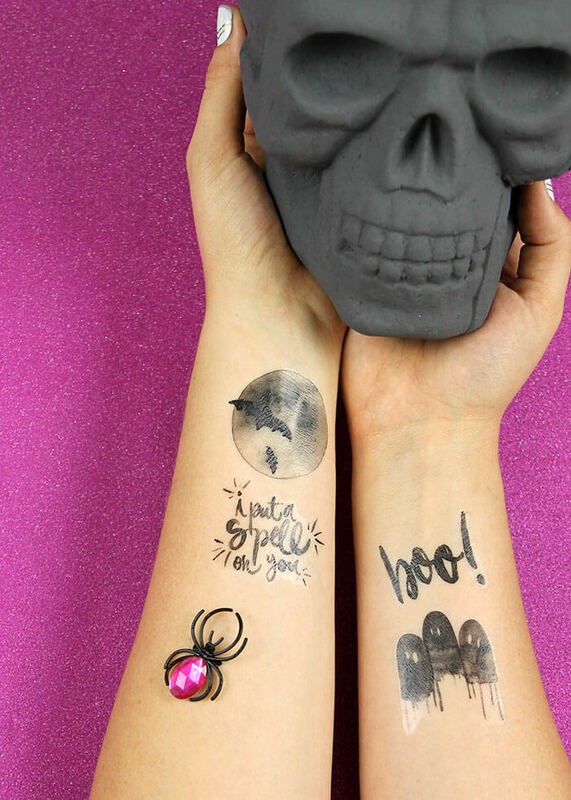 These free pretty and spooky watercolor designs make awesome tattoos for Halloween. This post contains affiliate links, which help to support this site at no extra cost to you. If you have been around here much you may have noticed that I kind of have a thing with temporary tattoo paper. 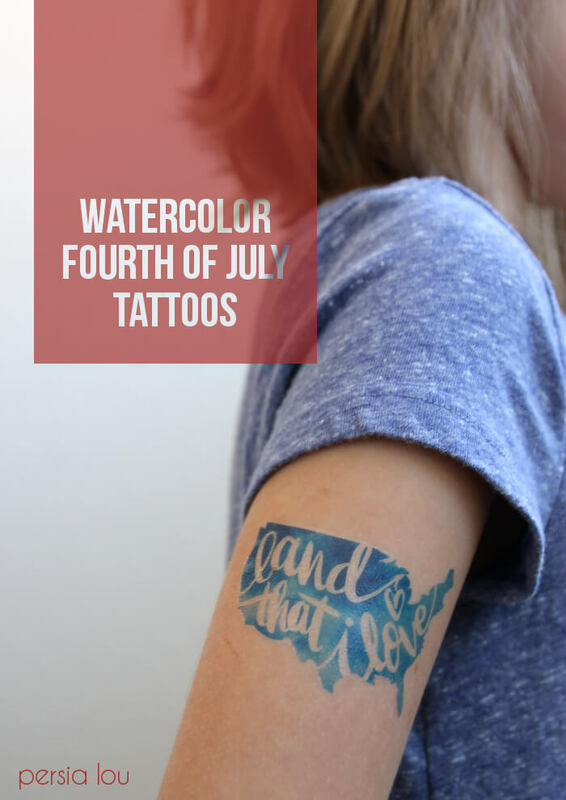 I’ve made Bunco tattoos, crafty maker tattoos, Fourth of July tattoos, and you can expect to see some more around here. 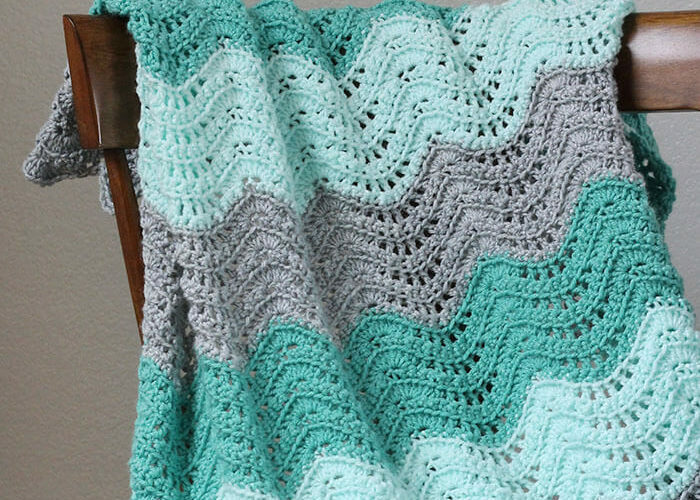 They are just so much fun to make! So, of course, I had to make some Halloween tattoos. I mean, obviously. I painted up some spooky watercolor designs, and got them all set up to turn into tattoos. There are drippy watercolor ghosts, pretty moons, bats, and a couple of fun phrases too. 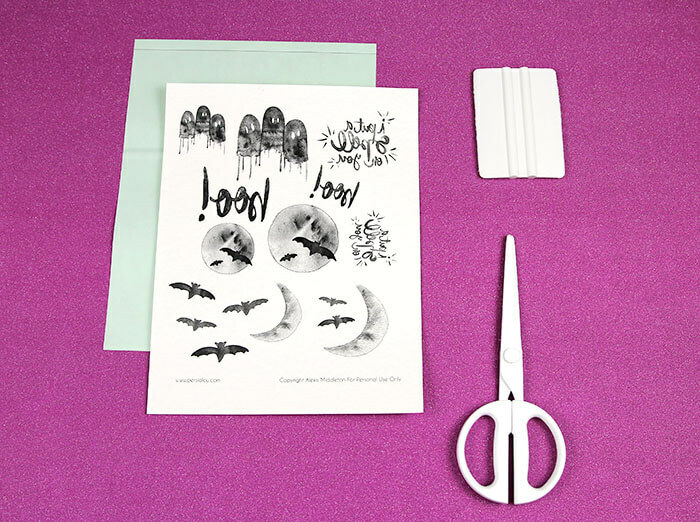 So, you are all set to make your own tattoos for all your Halloween festivities – all you need is ten minutes and a few simple supplies. 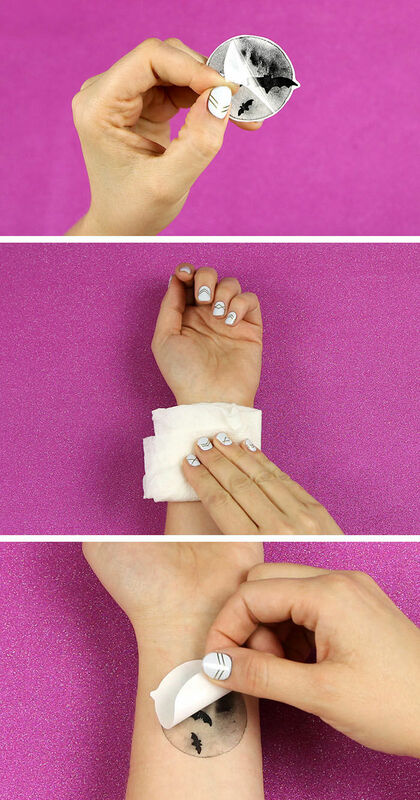 If you haven’t ever used temporary tattoo paper before, it is SO easy to use. You are going to love this stuff. In the package you will find a piece of shiny white paper and an adhesive sheet with light green backing. To create the temporary tattoo, you simply need to print your designs onto the shiny side of the white paper. Make sure the image has been flipped horizontally before printing (I’ve already flipped the images on my Halloween designs for you). Peel off the top strip of the light green backing and apply the adhesive sheet to the printed image. Slowly peel off the backing and press the adhesive onto the printed image. Use the applicator tool or a credit card to firmly apply the adhesive to the printed image. 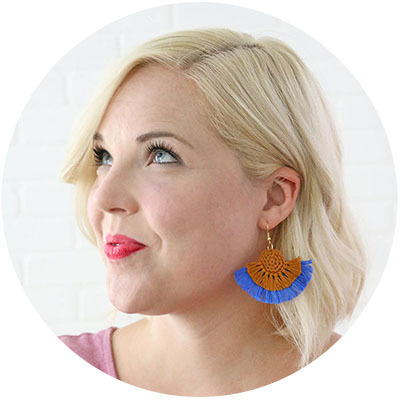 Finally, use scissors (or an electronic cutting machine – I love my Silhouette!) to cut around each design. Easy peasy, right? 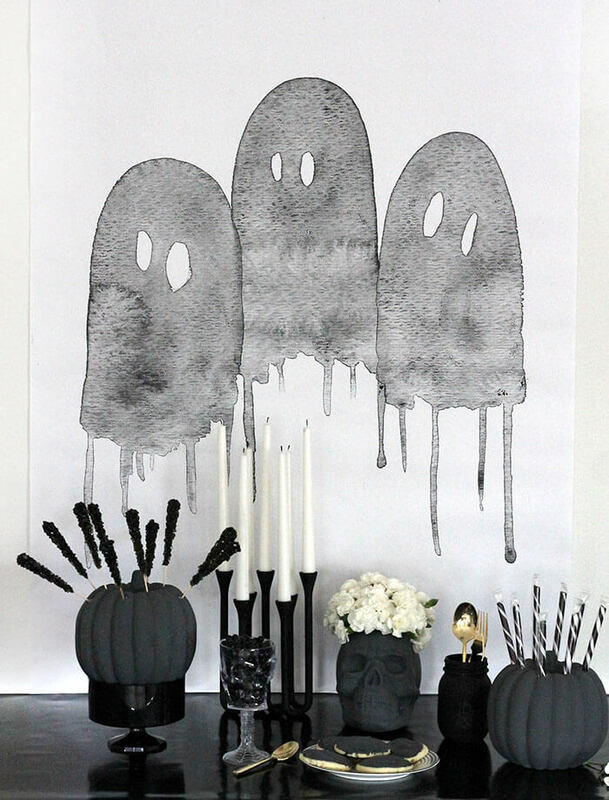 Now you have a whole pile of spooky watercolor tatts for Halloween. Applying the temporary tattoos is super easy too. Peel off the clear plastic top sheet. Place the image face down on your skin and place a wet sponge or cloth on top of the paper. 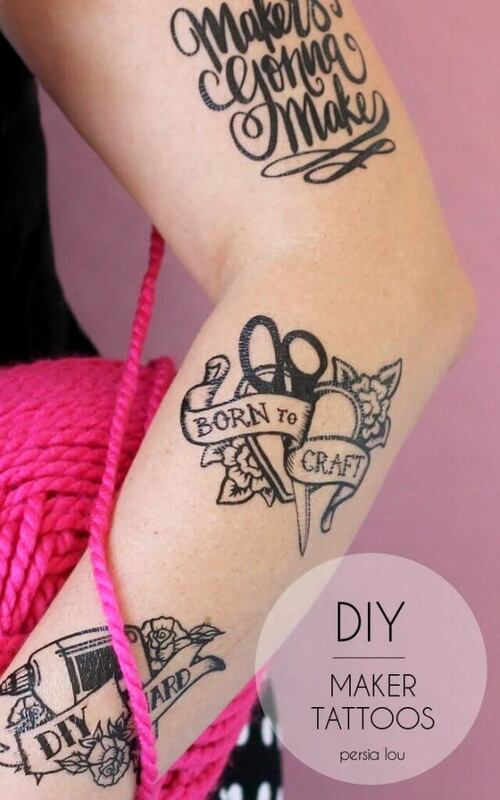 After 10-15 seconds, the paper backing should peel off easily leaving the tattoo on your skin. 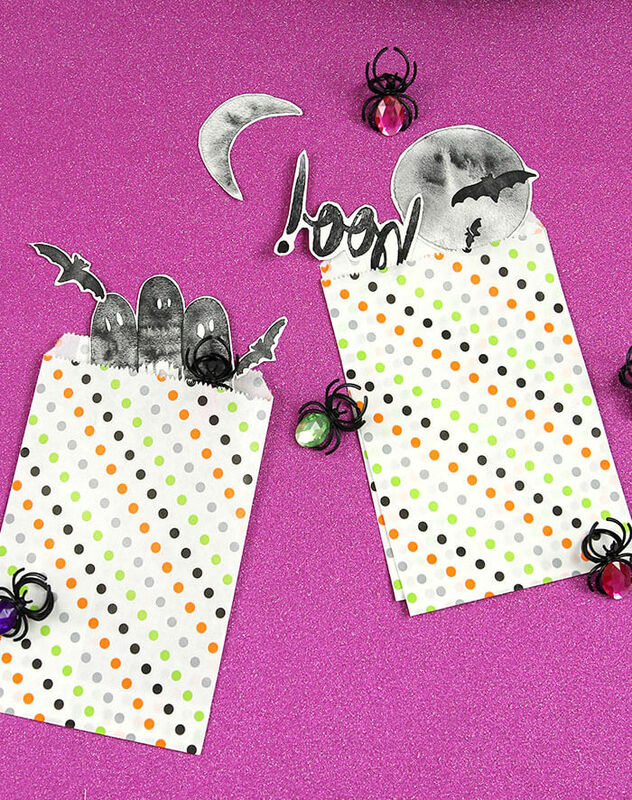 You could also make tattoos for a Halloween party or you could add them to goody bags to give out to trick or treaters. Kind of a fun little addition, right? 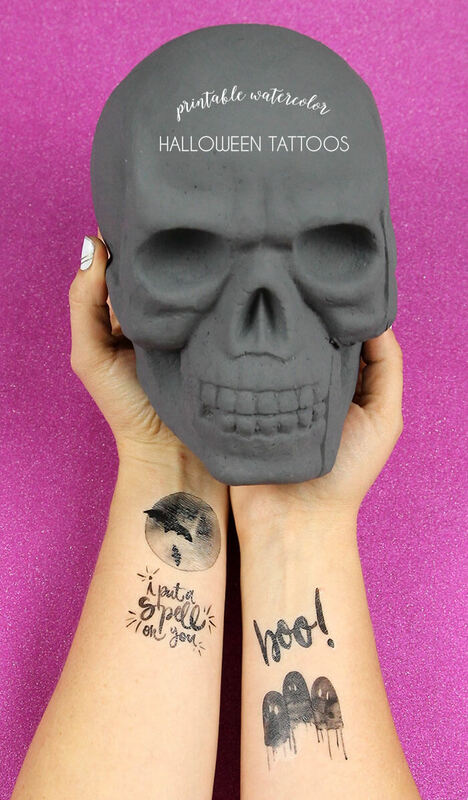 If you make and wear your own Halloween tattoos, I would LOVE to see them! You can tag me on instagram or share to my facebook page. I also used some of these designs for a spooky/pretty black and white Halloween party you can check out here. For hi-res versions of some of these watercolor images, check out my shop HERE. Sometimes I feel like a stalker, ha. These are SO GOOD though! Pinning. 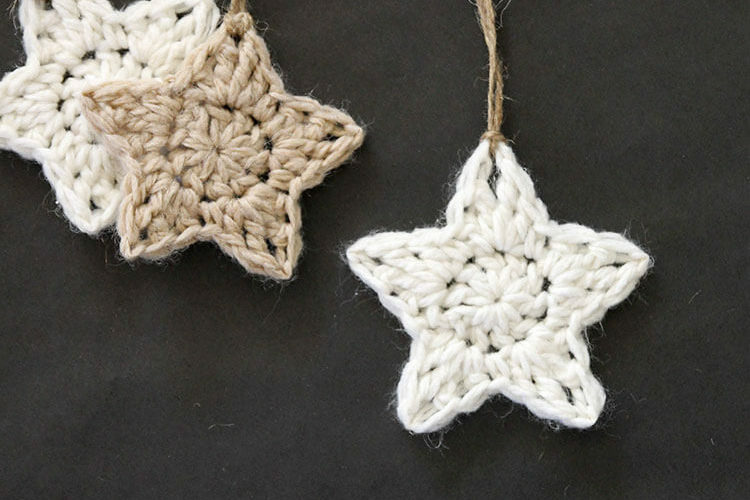 These are super cool. I need to buy some tattoo paper and hand these out to my daughter’s classmates. Thanks for sharing! Yes! 🙂 Thanks for stopping by, Vanessa! These look really fun! We’re having a Halloween party and these would be a fun addition.